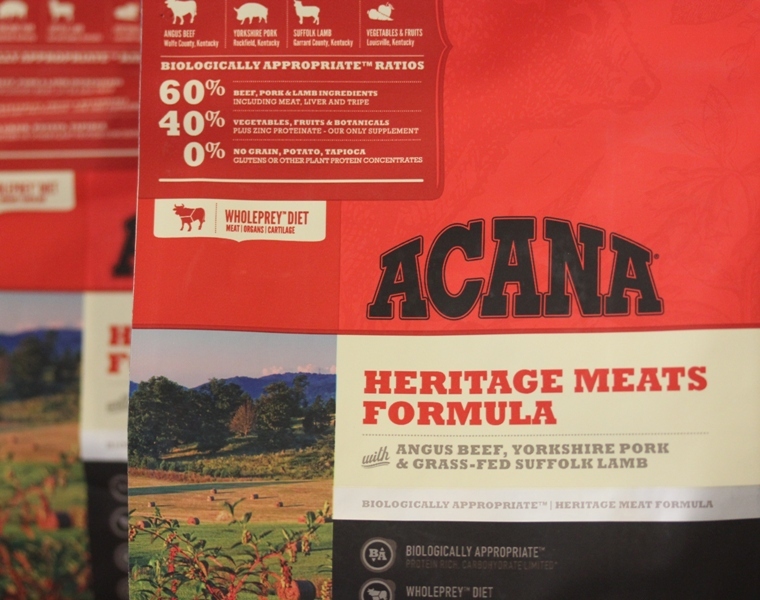 ACANA Heritage foods are Champion’s original Biologically Appropriate™ recipes that celebrate their 25-year tradition of featuring fresh regional ingredients grown close to home by farmers, ranchers and fishermen they know and trust. 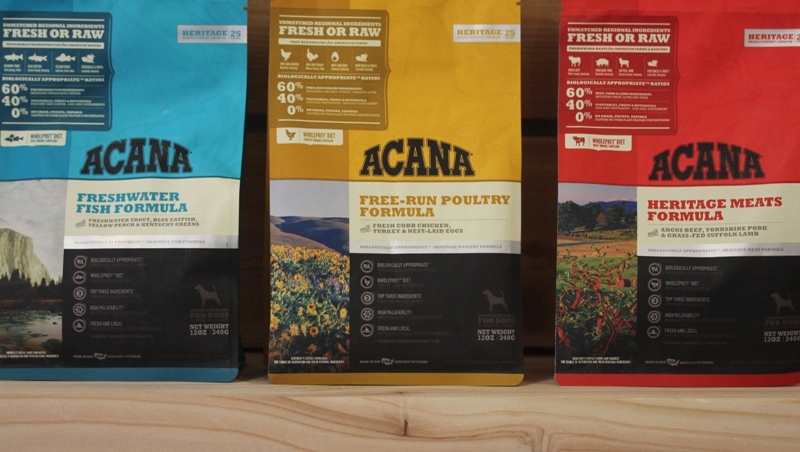 ACANA Heritage foods are brimming with free-run poultry and nest-laid eggs from local farms, freshwater fish from regional waters and heritage meats from Appalachian ranches — all delivered in fresh WholePrey™ ratios to nourish completely. Prepared in their new Kentucky DogStar® kitchens from America’s best and freshest ingredients, these unique and Biologically Appropriate™ foods are a delicious way to keep your dog healthy, happy, and strong. 12 oz. trial size bags are available NOW for $3.99 so you can try them out. Stop by the Hydrant today!